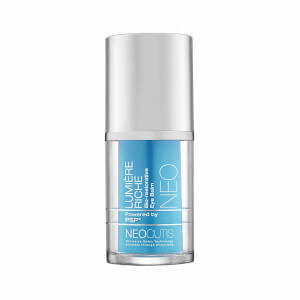 NeoCutis LUMIERE Bio-Restorative Eye Cream uses Human Growth Factors to tighten up the lines and wrinkles around your eyes. 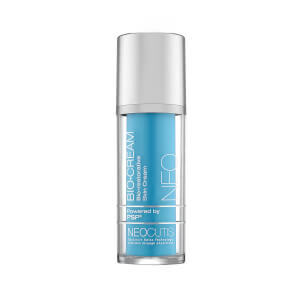 Powerful ingredients work to improve hydration and circulation to illuminate, refine, and repair the delicate eye area. Ideal for those with aging skin around the eyes who want firm, smooth, bright under eyes. Apply morning and/or night to the orbital bone. Processed Skin Proteins reduce fine lines and wrinkles and soothe. Caffeine stimulates the skin, reducing puffiness. Water (Aqua), Caprylic/Capric Triglyceride, C12-20 Acid Peg-8 Ester, Butylene Glycol, Glycerin, Saccharide Isomerate, Peg-8, Cetyl Alcohol, Caprylyl Glycol, Phenoxyethanol, Potassium Cetyl Phosphate, Carbomer, Bisabolol, Ascorbyl Tetraisopalmitate, Caffeine, Disodium EDTA, Methylparaben, Phospholipids, Butylparaben, Processed Skin Proteins (PSP), Glycyrrhetinic Acid, Sodium Hyaluronate, Sodium Polyacrylate, Ethylparaben, Citric Acid, Propylparaben, Isobutylparaben, Tocopherol, Beech Tree Bud Extract (Fagus Sylvatica Extract), Palm Oil (Elaeis Guineensis), Tocotrienols, Ascorbyl Palmitate, Squalene, Ascorbic Acid, Phytosterols. 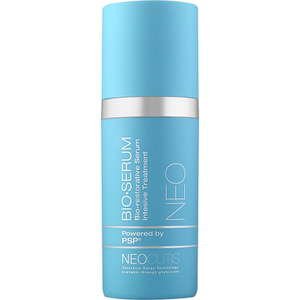 Love this product, I have been using for 3 years and does a great job. This eye cream caused the skin under my eyes to be red and puffy. I used it on and off for about a month, and it continued to cause irritation. I had to quit using it. Nice hydrating eye cream. Not greasy. I like it a lot. My dermatologist recommended this brand for my under eyes. So far so good, it goes on well and gets absorbed easily. I have used this for years. Keep asking esthetician if there is anything new/better on the market and she says this is the best. This cream is the best screen that's out there it has really decreased my wrinkles under my eyes I would not use any other product ! This eye cream is great! It tightens and plumps! I believe this product is well researched and works better than most topical creams. I have used it for years and will continue to do so. Whats not to love about this eye cream, goes on smoothly, great hydration & love that it has human growth factor. Have tried others always go back to this one!